The last few weeks have brought cooler temperatures and a skittishness that marks our transition into fall. These qualities show up in the weather as cooler temperatures, blowing winds and crisp, clear air. It shows up in the vegetation as dry, crisp color-changing leaves and dying plants that are drawing their energy inward and pulling it down into their roots. It shows up in us as increased anxiety, being scattered or overwhelmed, but also feeling inspired and creative and having an innate desire towards wanting to be more disciplined and tightening up our schedules. We might also experience insomnia, colds and flus, constipation, dry skin, stiff joints and low energy. Ayurveda teaches us that we are the microcosm of the macrocosm - so without as within. If the qualities or gunas of the elements are in the ecosystem - then they’re also in us. Learning the language of the gunas gives us great insight as to what we need to do to bring ourselves into balance. Once we can name these gunas we can use the Ayurvedic formula “like increases like and opposites balance” to remedy the situation. For example, if it’s cold outside, we can increase heat by adding warming spices to our food. This simple yet sophisticated system simply requires that we’re awake to what’s going inside and all around us. Read more about using gunas to stay balanced in fall here. 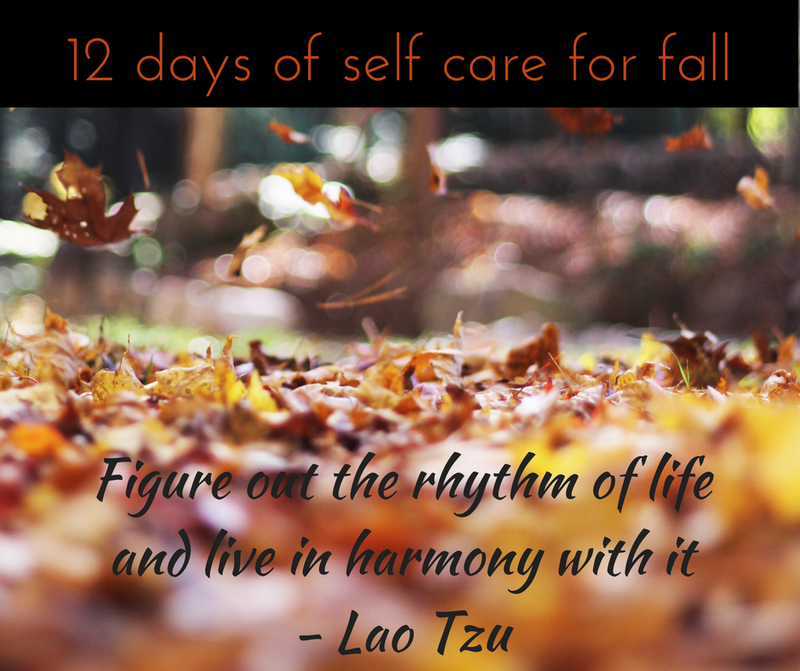 Fall is the season to fortify, nurture and nourish ourselves. The etheric quality of vata makes us more sensitive and susceptible to imbalances of all kinds. Therefore we need to turn up our self care and turn down the noise, distraction and anything else that pulls us away from our center. The upside of vata is that is adapts quickly and small changes yield profound results. If you can incorporate even a few of the tips I’ll share with you, it will make a difference. Over the next 12 days I’ll be sharing simple practices and tips for getting grounded and feeling deeply nourished in the months to come on my Facebook page. “Like” my page and follow along there. Know someone who might benefit from upping their self-care? Share the love!